An epic war has struck the Marvel universe….and its outcome is in your hands! 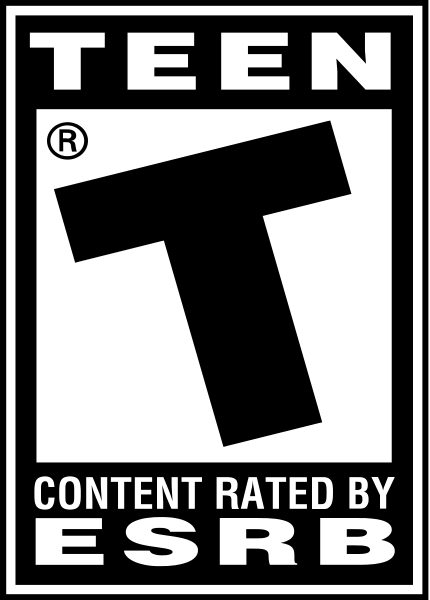 Marvel Nemesis™: Rise the Imperfects™ ¬delivers the most authentic and cinematic Super Hero™ fighting experience ever seen in a video game while remaining faithful to Marvel’s comic legacy. 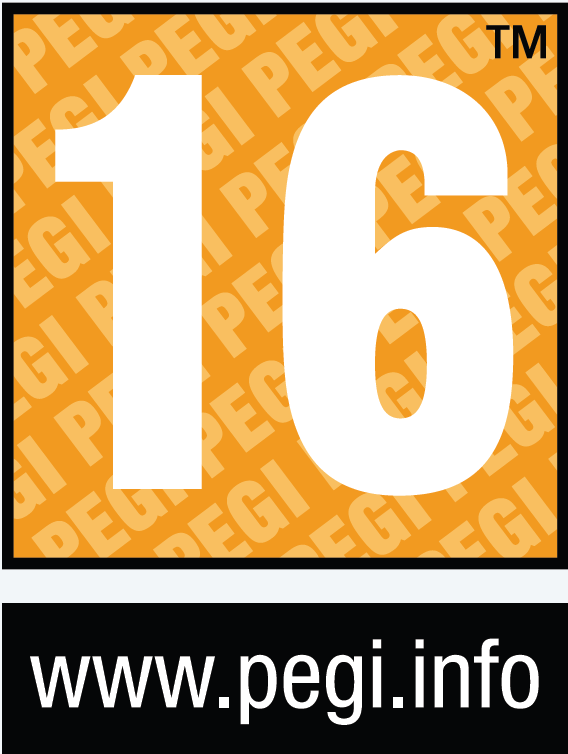 Pit the most legendary Marvel Super Heroes™ against The Imperfects™, a group of Super Heroes created collaboratively by Marvel, EA, and top comic book industry talent, in all-out duels to determine who among them is the most powerful of all. Control a number of characters from Marvel’s library of Super Hero families including Spider-Man, Wolverine, and Iron Man. Experience what it’s like to fully possess each Hero’s super powers—and unleash them on enemies with devastating effect. Pummel and ultimately crush adversaries in fully interactive and highly destructible fighting arenas. 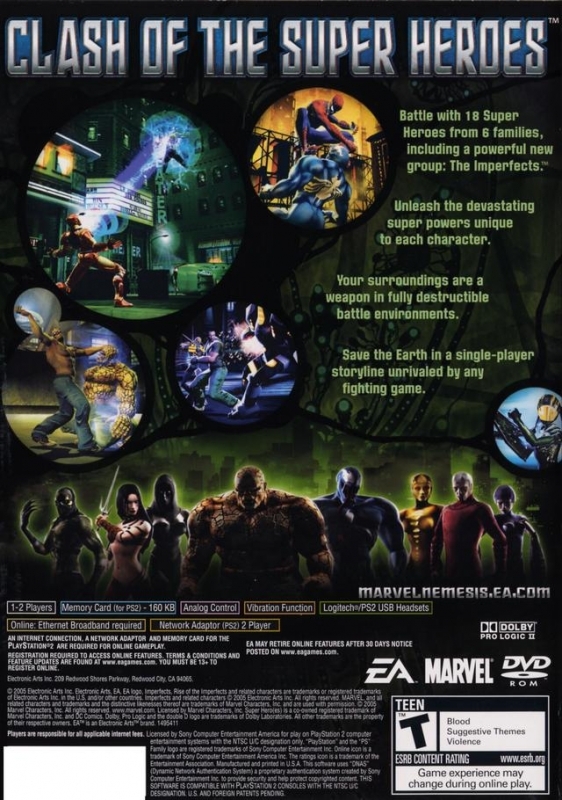 Marvel Nemesis: Rise of the Imperfects features locations from the Marvel’s universe as well as New York City landmarks. Use this environment to your advantage and defeat enemies in head-to-head battles, in online multiplayer challenges or in the single-player mode. 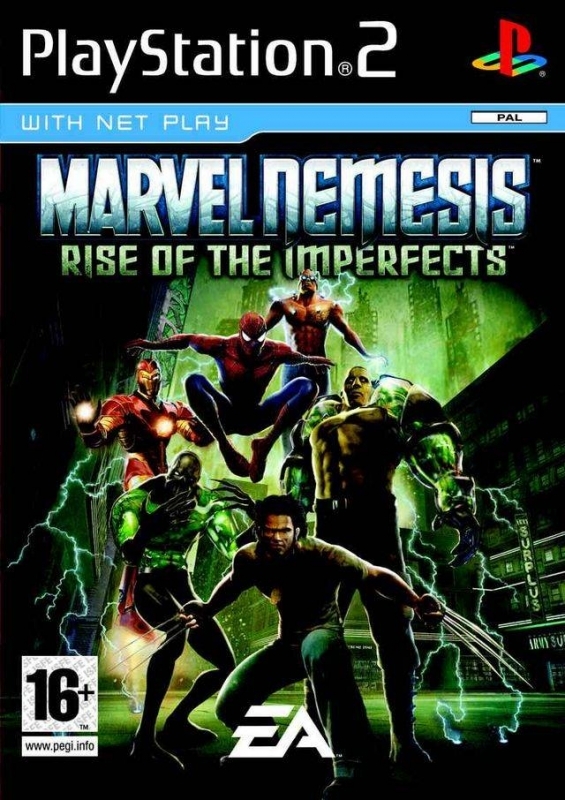 Guaranteeing its authenticity, the team behind Marvel Nemesis: Rise of the Imperfects includes Hollywood and comic book industry stars such as renowned illustrator Jae Lee (Spider-Man, Uncanny X-men, Captain America) and movie character designer Paul Catling (Spider-Man, The Punisher, Harry Potter and the Chamber of Secrets). With more than a dozen Super Heroes, a brand-new family of characters, and destructible battle arenas, EA is delivering the Super Hero showdown Marvel fans have been waiting for.